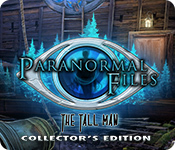 Paranormal Files: The Tall Man Collector's Edition is rated 4.0 out of 5 by 31. Rated 5 out of 5 by Mstiechick from Best game I've played in years I don't usually review games, but I had to review this one because it was that good and I'm hoping they continue the quality of this one in new episodes. The character, graphics, puzzles, storyline, it all worked beautifully. Best non-Nancy Drew Game I've played in the past 8 years! Rated 5 out of 5 by timothya from Paranormal Fun Simply a lot of fun in this one. We play as Rick Rogers, Paranormal Investigator, a wise-cracking detective of the old school in a new generation. A missing person, a concerned sister who turns out to be more than a bystander, a spooky forest, a mysterious mine with evil unearthed by a group of feckless twenty-somethings who need rescuing - yes, we've played this one before and the devs are playfully letting us know that. This time, though... Pros: excellent voice acting and a character with self-mocking humor. A couple of neat plot turns prevent the cliches from becoming overwhelming; actually, by the time we get to an Indiana Jones-style challenge and it's referenced by name, the cliches are pretty darn funny. Great puzzles, some pretty challenging on Hard mode, although Easy is selectable. Useful map, immersive music, excellent game mechanics, plenty of play. Don't look for any overblown drama, this one is just fun. Cons: not a lot, really. The villain is never properly fleshed out and perhaps that is deliberate - it's just evil and that's that. Sometimes a bad guy is just a bad guy. But in the Bonus game we learn that...well, no, that's really about it. I was fortunate enough to beta test this one and couldn't wait for it to appear. And I wasn't disappointed in the final product. Rated 5 out of 5 by Leadgeek from Paranormal Files ROCK! My wife and I have thoroughly enjoyed the two games so far. They are enjoyable, challenging and well executed. Great graphics and interesting puzzles combined with a good story line and some humor makes the game a true pleasure to play. We eagerly await the next installment. 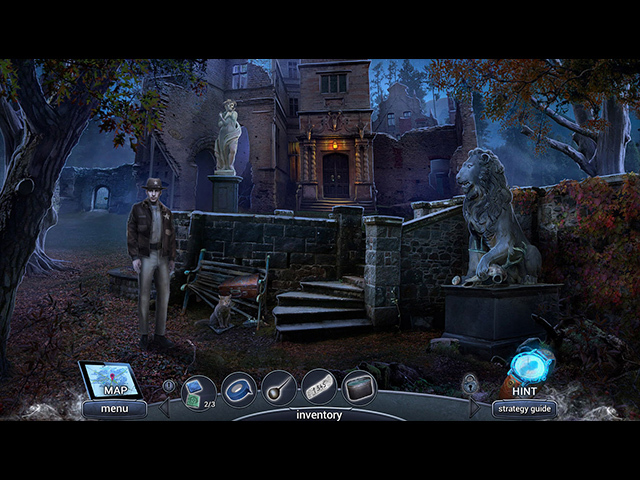 Elephant Games have always been reliably enjoyable but Paranormal Files raise the bar. Rated 5 out of 5 by MaryCricket from Everyone wants to fit in. What a sad story. 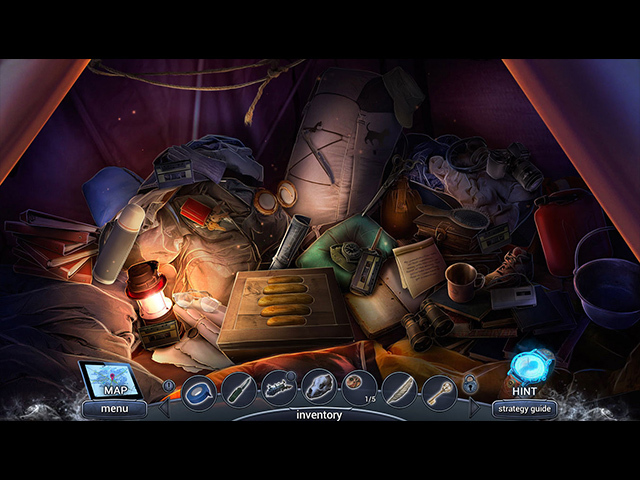 In the beginning of the game. The story line was was about friends getting together for a fun weekend. But after the 2nd chapter, it was all about wanting to fit in. I play for the story lines. Elephant Games did a wonderful job on this story. I felt it was sad and made me want to play some more to find out the end. I loved everything this game had offer. I really love the story. Rated 5 out of 5 by Monkeygus from Excellent LONG game There's not much I can say that others haven't said. I really enjoyed this LONG game. I hate short games, so that in itself was worth at least 3 stars from me. I found the story interesting (the monster made me think of season 3 of Riverdale) and the detective had a sense of humor. I wanted to slap those spoiled, rich kids for being bullies! Voice overs were good, music was unobtrusive, and the collectibles were fairly easy to find. 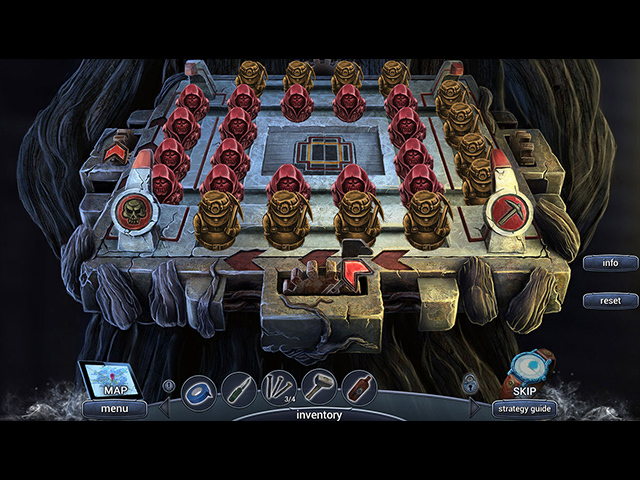 The puzzles ranged from easy to moderately difficult. The bonus game was long as well, so I was a happy camper. It was a nice continuation of the main story. Overall, it was a good buy for me. I'm looking forward to more of this series in the future. Give the demo a try! Rated 5 out of 5 by odarney from Wow! Wow! A+ This one is a keeper! Graphics are excellent. Fluidity of game is smooth. Love the storyline 'chasing ghosts.' Seriously folks, this game is awesome! Rated 5 out of 5 by Majestyx12 from Manic at the Tall man's bidding Based on the finished game with bonus material. I feel the main game was short. I liked the bonus chapter, so it seemed to balance out. Most puzzles were one's I don't like. I did find about ten I liked. I liked the hops. They had ten mini-hops in addition to the regular hops. Bonus chapter you team up with the Sheriff to save people and go after the bad guy. Plenty of collectibles-12 statutes of characters with info. 27 morphing objects and 25 collectible eyes. (most scenes had the morphs and collectibles). Has replays on hops and puzzles. Rated 5 out of 5 by RPgames from Treeman comeith I like this game. Good all around game that is more who done it game than spooky. If I have to pick a bad thing about this game it is similar to some others I played but not all bad though. The bonus game seemed as long as the main game so value is very good. Animation is ok but for the price it is good. Voice acting is good but the main player (you) is a little high pitched but that is a minor flaw. Rated 5 out of 5 by SparkleGlow100 from Moonlight, Endlessly Relaxing Woods, Mystery & Ruins... (Review based on completed game and bonus game.) ..then you have the supernatural trying to get you and you have a gripping and relaxing story at the same time. Elephant Games delivers superb graphics, story and sound. The Bonus Game is a bit scarier than the main game. I love all the nature scenes in the moonlight, so peaceful. Oh, so sad it had to end. Find: (1) Morphing objects, (2) “eye” signs blended into the environment & (3) some collectable statues.